COMMISIONED BY COVENTRY HOMES FOR A PRIVATE CHARITY AUCTION. 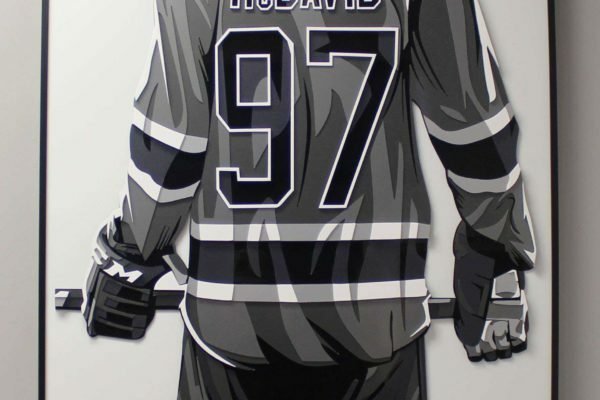 THE POPULARITY OF CONNOR MCDAVID ALONG WITH THE 3D STYLE WAS AN INSTANT SUCCESS . 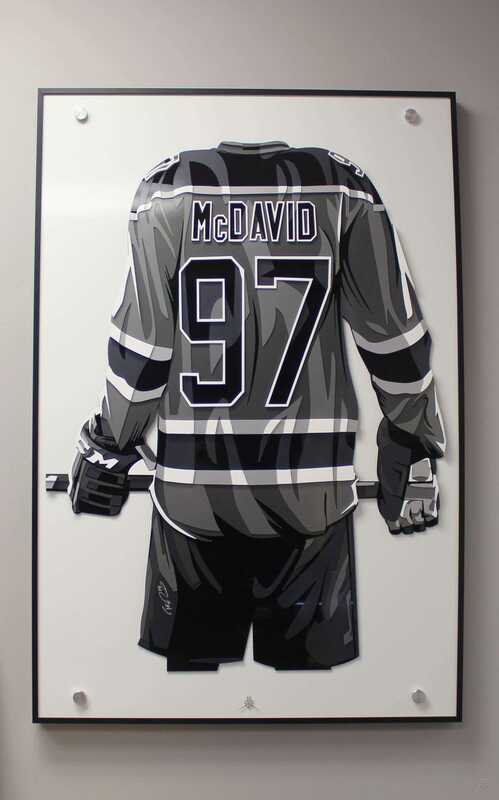 A LIMITED EDITION OF 5 HAVE ALL BEEN SOLD SO UNFORTUNATELY THIS VERSION OF THE MCDAVID JERSEY IS NO LONGER AVAIL.